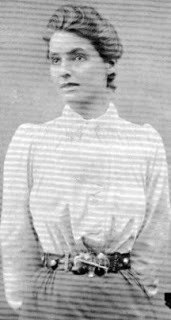 Beatrice Webb at around the age of 18. Few would describe the co-author of Soviet Communism: A New Civilization as a libertarian socialist. Even she would have been bemused by the idea that Clause IV of the pre-Blairite Labour Party constitution, which she helped to draft, would become an icon for the Left. Yet even with these and so many other counts against her, Beatrice Webb richly deserves a place in the pantheon of Labour movement history. For, using the skills of social investigation that she learned assisting Charles Booth in his Inquiry into the Life and Labour of the People of London, and a relatively late-found commitment to Fabian socialism, she did more than anyone to expose the failings of the workhouse system and to end a Poor Law regime that had blighted people’s lives for nearly a century. Martha Beatrice Potter was born in 1858, the granddaughter of the Radical MP Richard Potter, and grew up in the distinctly upper class surroundings of Standish House, near Gloucester. In 1876, at the age of 18, she “came out” (was presented at Court) as was the practice for young women of her social standing. The picture shows her at around this time. As a young woman, the then Beatrice Potter did some work for the Charity Organisation Society and helped to run Katherine Buildings, a social housing scheme funded by philanthropists near London’s St Katherine’s Docks. A failed relationship with the then Liberal (later Conservative) MP Joseph Chamberlain, and work with “Cousin Charlie” (Charles Booth) followed. As late as 1889 she allowed her name to be added to a manifesto protesting against votes for women. That same year, however, her politics began to undergo a fundamental shift. A study of the co-operative movement led her both to Sidney Webb, a leading light in the Fabian Society, and to a joint project on the history of the trade union movement. Fearing her father’s reaction, Beatrice kept her 1891 engagement to Sidney secret from her father, marrying only after his death. But the two now travelled the country, talking to local trade union officials and uncovering dusty old documents and books which allowed the pair to write their magisterial book on The History of Trade Unions. The book effectively established labour movement history as a discipline, and proved so enduring that it was republished, with updates, into the 1920s. For the remainder of their lives, Sidney and Beatrice Webb worked so closely as a team that they are usually referred to in a single breath. Together they helped found the London School of Economics, and the New Statesmen, and drafted the 1918 constitution of the Labour Party which established local parties for the first time. In due course, Sidney would become Labour MP for Seaham (1922-29) and subsequently Lord Passfield, holding office as secretary of state for the colonies and dominions. But in many ways, Beatrice Webb will be most happily remembered for her role on the Royal Commission on the Poor Law, established in December 1905 by the outgoing Balfour government. Beatrice’s minority report, published in 1909, attracted the support of only three of the 19 other members of the Commission – Francis Chandler, secretary of the carpenters’ union; George Lansbury, later leader of the Labour Party; and Rev Russell Wakefield, a Church representative. Its importance lay in the assertion that the emphasis should be placed on prevention not cure, and its insistence that poverty was a problem for society not for the individual to solve. A massive campaign followed, first through the National Committee for the Break-up of the Poor Law, and subsequently through a rather less focused National Committee for the Prevention of Destitution, which within a matter of months had recruited 16,000 members, among them Labour and Liberal MPs, trade unions and a distinguished list of the great and good beside which New Labour’s early infatuation with Britpop fades into insignificance. Although the campaign failed to achieve its aims in the short term, it did force a rethink of policy approaches. Insurance Acts in 1911 and 1916 were based on the principles set out by Beatrice Webb, and in 1920 unemployment protection was extended to the great majority of working people. In 1929, a Conservative government finally abolished the Poor Law boards of guardians. The process that Beatrice Webb began would find its ultimate expression in the 1944 Beveridge Report and in the post-war welfare state which followed. By then Beatrice was dead. She died at her home, at Passfield Corner in Sussex, in 1943; Sidney survived until 1947. She was not a lovable person. Disapproving of slack morality and definitely lacking a sense of humour, it was probably above all her lack of personal feeling that blinded her to the horrors of Stalin’s Russia, which she visited extensively in the 1930s and lionised in print. More than 100 years on from the Royal Commission on the Poor Law, however, this aspect of her work, at least, deserves our respect.